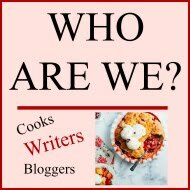 We here at Mystery Lovers' Kitchen are excited to welcome guest Shawn Reilly Simmons, who's giving us a sneak peek into cooking for the stars! 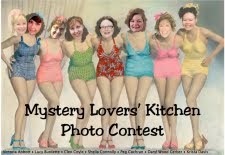 Thanks to Mystery Lovers' Kitchen and Sheila Connolly in particular for inviting me over to share today! 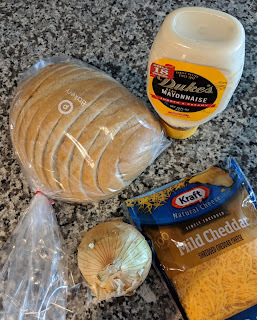 Like many of the authors who regularly contribute to this blog, I write culinary mysteries that are inspired by my time working in a kitchen. Where my experience deviates a bit is the last cooking job I had was working as part of the crew on a movie set. That "kitchen" was really a couple of trucks and tents, constantly on the move, setting up wherever principal filming was taking place on any particular day over a four month period. 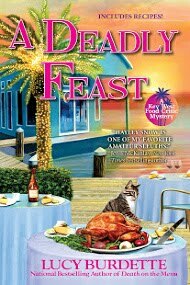 My Red Carpet Catering mysteries take place behind the scenes on movie sets, and are told from the point of view of Penelope Sutherland, chef-owner of a theatrical catering crew. There are three books so far: Murder on a Silver Platter, Murder on the Half Shell, and Murder on a Designer Diet. 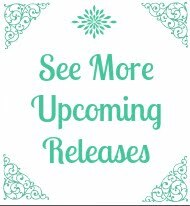 I'm happy to report I've been signed on for three more, all published by Henery Press. The days cooking on a movie set are long, and most of the work takes place outside. That can be nice on a pretty day, but can be challenging when it's raining or when you're chopping vegetables in sub-freezing temps in a cold tent. Those kinds of days it's good to be assigned to the grill in the mobile kitchen. But that's exactly where you don't want to be during the hottest days of summer. That's when the tent feels much nicer. Our team cooked for roughly three hundred cast and crew, all of whom came to eat twice a day for either breakfast and lunch, or lunch and dinner. We cooked, prepped, cleaned, broke down, set up, and drove to different spots in Washington DC during the times in between. A typical shift was at least twelve hours, but more often ended up around sixteen, most of them on our feet. Movie stars, and the people who work on the movies they star in, don't expect burgers and fries when they call dinner break. We prepared restaurant-quality food including roast salmon, prime rib, fresh vegetables and pasta, not to mention a massive salad bar that rivals any I've seen in a restaurant. But the most important thing was we had to have it ready on time, every time. Films are shot on a schedule with lots of people on the clock. You never want to be the one holding up production. The catering crew accommodated special meal requests for those who adhered to special diets or had allergies. We threw a few parties for the cast and crew on Friday nights when the week was a wrap, and a long week of work was done. Overall my time as an on set caterer was fun, exhausting, educational, and rewarding. And it was definitely a unique experience I'll never forget. 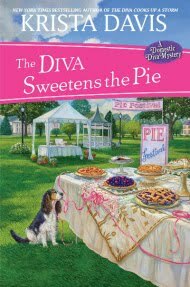 In my most recent book, Murder on a Designer Diet, Penelope and her team serve s'mores after a particularly rough night on the set. Because it's awfully cold outside in real life, even too cold for an outdoor fire for me, here's an easy way to bring s'mores inside and give them a holiday twist. Preheat oven to 400F. Line an 8x8-inch square pan with parchment paper, leaving some overhang for easy removal after baking. Smash (I love smashing things) graham crackers in a Ziploc bag, pour into a medium-sized bowl. Stir in butter and brown sugar until well mixed, then press mixture into the bottom of your lined pan to form the crust. Bake in the preheated oven until crust is lightly browned, about 6 minutes--don't let it get too dark! Remove pan from oven and let cool a few minutes. Cover crust evenly with the dark chocolate chips. Let s'mores rest in pan on a baking rack until cool, about 30 minutes (seriously, it will be like sweet lava in there, so be careful). When it's totally cooled, pop your pan into the refrigerator until set, about 45 minutes. Remove and cut into squares. You can make this the day before and cover tightly with film if you're heading to a pot luck party. I like to pair my s'mores with Knobby Chocolate (almond) Milk: 2C Almond Milk, 1/4 cup dark chocolate chips melted over low heat, then add a shot of Knob Creek (or your favorite bourbon) after you pull it off the stove. Happy Holidays! And there's a holiday giveaway! 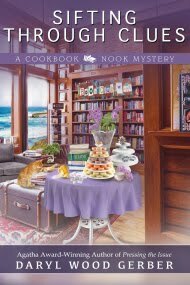 I'll give a copy of Murder on a Designer Diet along with some holiday treats--peppermint bark & holiday tea. Just leave a comment below. 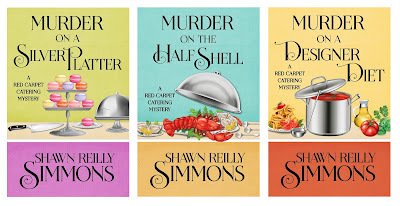 Shawn Reilly Simmons is the author of the Red Carpet Catering mysteries featuring Penelope Sutherland, an on-set movie caterer. 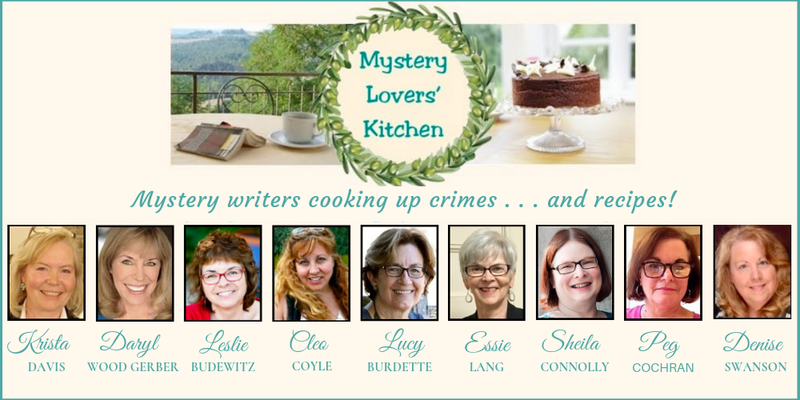 Shawn is a member of Sisters in Crime, Mystery Writers of America and the Crime Writers' Association in the UK. 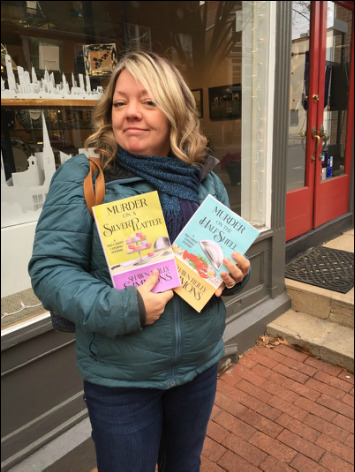 She serves on the Board of Malice Domestic, and is an editor at Level Best Books, publisher of crime fiction anthologies including the Best New England Crime Stories. Thanks Shawn for the behind the scenes tour of how you catered for the movie set croud, the recipe and the giveaway. 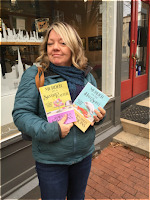 And congratulations on the 3-book contract renewal with Henery Press! Thanks! I'm over the moon--so happy to have a home for Penelope and the gang! Thanks! Yes, my "small town" rolls around from place to place, but a movie set is like a village in itself, so that's how I approach it. 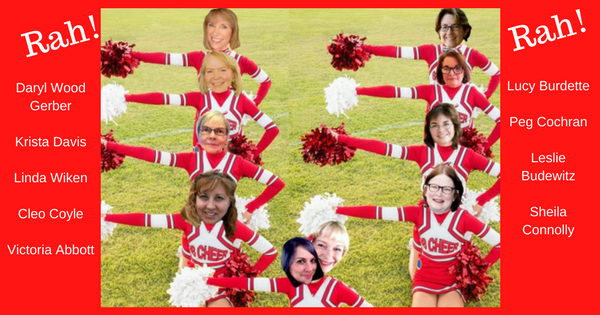 Thanks for having me on the blog--love it! You're welcome-and thanks for sharing! i liked s'mores when I was a kid but they are way to sweet for me now. What fun, Shawn. It must have been fascinating! What a great review. Love the treats and books. Thanks everyone! I'm so thrilled to be hanging out with you guys today. I appreciate all the kind words too! Those S'mores sound interesting. Your books sound even better. I have to admit that you are new to me, I just went and got the first book to get started, I love the sound of this series. Thanks for the chance! Yes! Well, I have a six year old, so I'm on that wavelength these days. Hope you enjoy if you give them a shot! How great that you were able to turn your real life experiences catering on sets into a book series. Thanks for the chance.